I'm a teensy bit embarrassed to tell you that I just made my first pair of PJs for myself (I've made a couple PJ sets for kids, but not for myself up 'till now). Such an easy thing to make but it seems I hadn't got 'round to it! 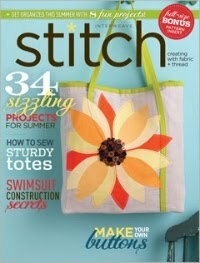 My motivation to sew up this pattern came from the fact that I needed a sample for two different classes. 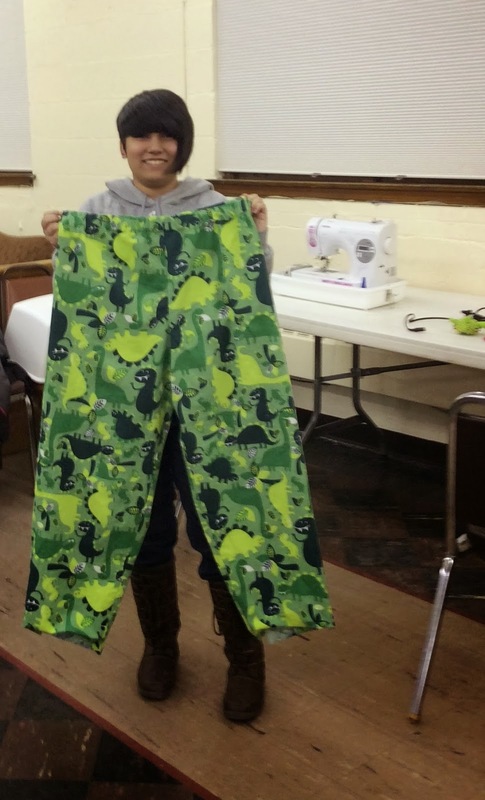 This was an Intro to Sewing class for teens/adults that I taught at my regular sewing gig (The Little Bits Workshop) and out on my own for a class I set up, advertised, and registered students all by my little loneself. But I had the plan for these PJs for at least 18 months, maybe longer. My husband gave me a pair of Garnet Hill bamboo jersey cropped PJs a couple years ago, and they fairly quickly got all hole-y in back. But I loved them so much I just wore them with longer and longer t-shirts to cover up the growing hole. I've been meaning to replace them for, oh, some time, but I needed a kick in the PJs to do it. So Simplicity 2290 is a super easy pattern (one pattern piece, 3 seams and then hemming) and while it's not cropped, cropping them was easy-peasy to do. The only problem I found was that the crotch depth was ridiculously long on me. I cut off 1.5" and I should have cut off 1.5" more. This was not a problem for any of my students, so maybe it's just me. Here's how they turned out, next to the original. New with fabric from EmmaOneSock.com - purchased years ago. And see this hole??? Why am I still wearing these??? Anne made these for her son - the tail at the back side was a lucky accident! 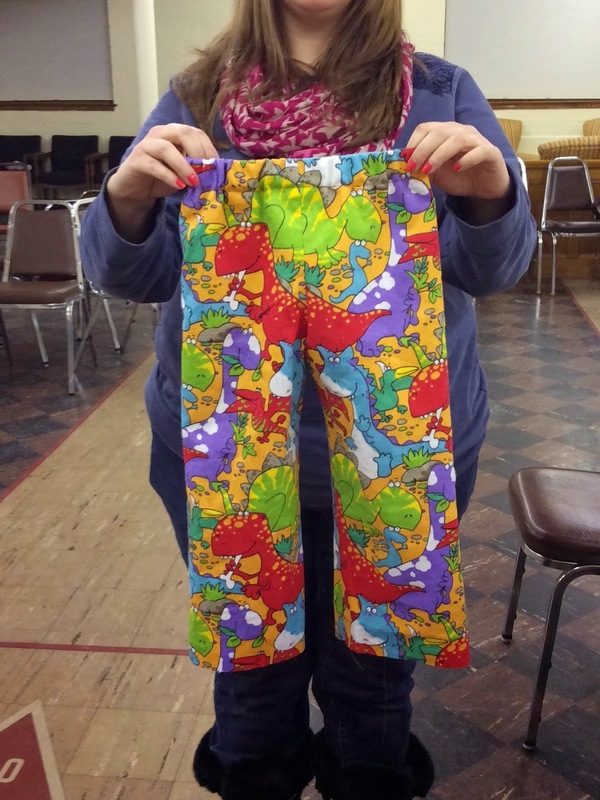 Hope made these for her daughter. Paty got this mustache fabric from a man who was clearing out his (deceased) wife's fabric stash. 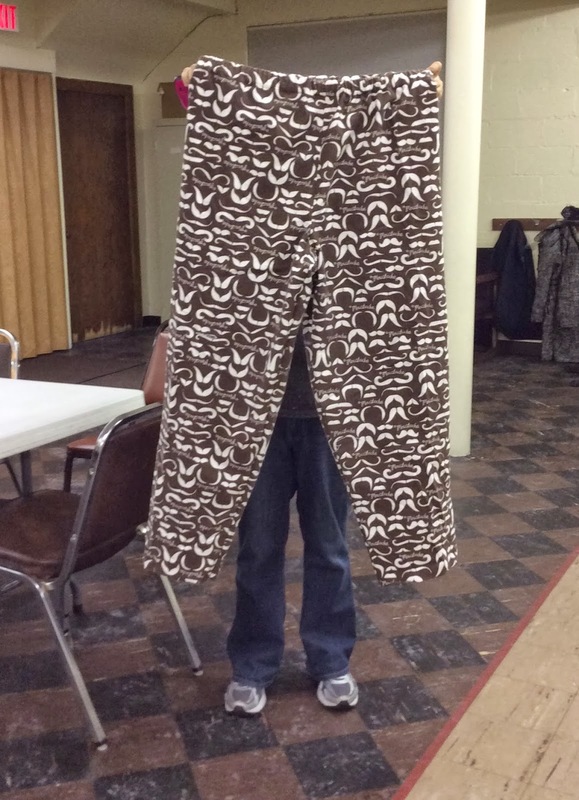 He is giving the fabric away, per the wife's instructions. This particular class was one of the most satisfying I've taught, mainly because it was all mine - lesson plans, finding location, advertising, convincing people to take the class, taking payments, setting up the space each week. I was also more nervous at the start - and this is after teaching in various jobs for over 15 years! Four out of the five students are going to take my next class, and the one who isn't taking it wishes that she could. It's moments like this that make all the hustle and late nights and frustrations of running one's own business worthwhile. 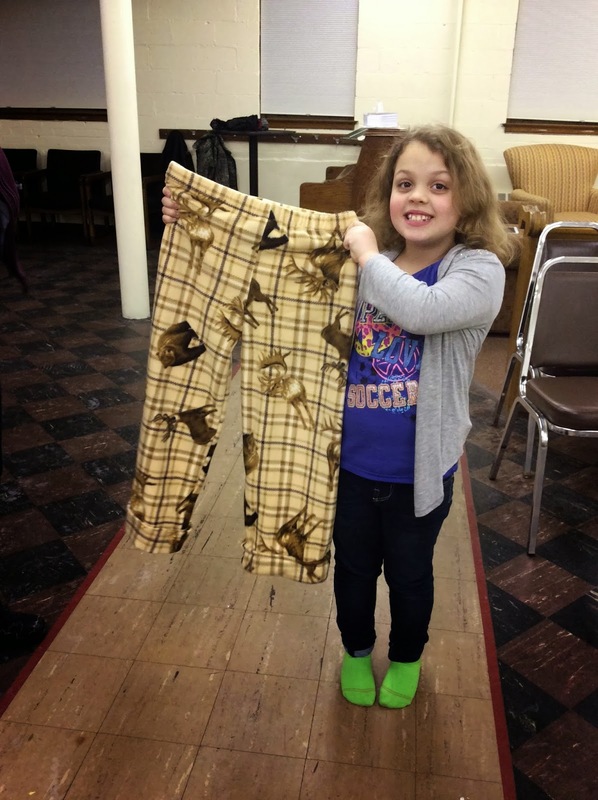 2 comments on "Student Work: Simplicity 2290"
Love the fabric you used for your pj pants. And a big congrats on a successful class!